Obituary – Bamberger, Joan Faye (VanBebber) « Perry High School Alumni Association, Inc.
Joan Bamberger passed away peacefully at Saint Mary’s Regional Medical Center August 28, 2017. She was born in Enid, Oklahoma, July 23, 1931 to Ralph and Helen Van Bebber and was raised around Perry, Oklahoma. 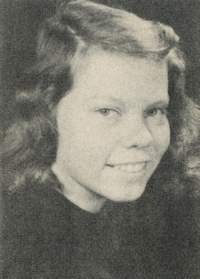 Joan attended a one room school house until the 3rd grade when she moved into Perry and attended Perry Elementary, Perry Junior High and graduated from Perry High School. Joan married Wilbur Denny “Bud” Bamberger in 1951. They had 3 children, Steve, Mike and Patti. In 1968 the family moved to Reno where Joan worked for the Wooster Brush Company, retiring in 1996, after 25 years. Joan could strike up a conversation with anyone, anytime, anywhere. 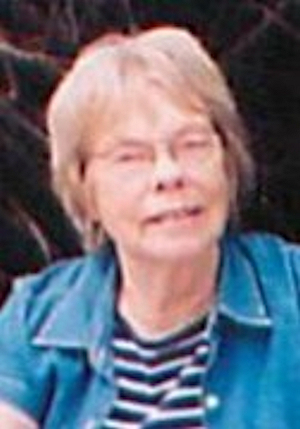 She had friends and stayed in contact with all of them as well as many relatives, especially Wynona Passow. Joan and Wynona had a nightly phone chat that could last 1 or 2 hours. In 2004 when her son Mike contracted COPD, it became her purpose in life to make sure he stayed as healthy and active as possible until his passing in 2015. Joan was diagnosed with ovarian cancer in 2011. She was cancer free for 6 years until it returned and was too advanced to treat. She is survived by her son, Steve, wife Beckie, their 2 children, Teela Smith (Josh), and Tristan; her daughter Patti, (Tom) and her 2 children, Jessica and Jacinda, (Dennis), as well as 5 great grandchildren. The family would like to request that in lieu of flowers a donation be made to the Sertoma Mike Bamberger Scholarship fund, in care of Chuck Sharkey, 1820 Brunetti, Sparks, NV 89431. A celebration of life will be held October 14th, at 3:00 pm, at her son’s home, 3923 Lakeside Dr., Reno, NV.